WASHINGTON (AP) - Hispanics, blacks, Asians, and women who together stand as the majority in the House Democratic caucus publicly disparage the Republican piecemeal approach to immigration and their pointed omission of any path to legalization for the 11 million immigrants living here unlawfully. Privately and pragmatically, Democrats recognize that the GOP's strategy may be their only route available to an historic policy change. "House Democrats want to get this done," said Rep. Joaquin Castro, D-Texas, a second-generation Mexican-American. "We want to get immigration reform done in 2013 and it's on Republicans now who run the show in the House of Representatives to figure out how to work with us to get this done." Speaker John Boehner, R-Ohio, who controls the agenda in the Republican-led House, has said flatly that lawmakers will not consider the bipartisan, Senate-passed bill with the promise of U.S. citizenship for millions and billions of dollars in new spending for more border security. That leaves Democrats with few options in their quest for the most sweeping immigration changes in a generation and a chance to deliver on President Barack Obama's top domestic priority. The question of process and strategy is nettlesome for Democrats, but the single-issue bills pushed by Republicans represent the most expedient path to negotiations with the Democratic-controlled Senate and a chance for final, comprehensive legislation. "Piecemeal is no deal. 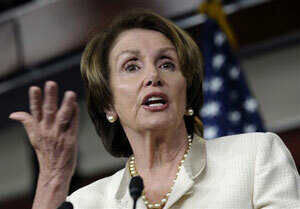 Piecemeal is a deal-breaker," said Rep. Al Green, D-Texas. But Democrats left the Capitol for their July 4th recess this week determined to rally support for immigration legislation and willing to support the single-issue bills as long as it gets them to talks with the Senate. Members of the Congressional Hispanic Caucus who spoke privately with Democratic Leader Nancy Pelosi last Friday made clear they wouldn't back the stand-alone GOP bills if Republicans expected the Senate to act on each one individually, a surefire path to legislative oblivion. Rewriting the nation's immigration rules is far more than an abstract policy debate for many House Democrats who are first- and second-generation Americans. The issue is a chance to pay tribute to grandparents and parents who sought and found opportunity in the United States. These minorities add up to a majority in the Democratic caucus to pressure party leaders. Their presence also creates a pronounced racial and political divide in the House, where the large Republican caucus is overwhelmingly white and male, and underscores the difficulties for immigration legislation. Of the 201 Democrats, less than half are white men while 41 are blacks, 25 Hispanic, and 9 Asians. There are 60 Democratic women. Of the 234 Republicans, 207 are white men, 8 Hispanic, 2 Native Americans, and 19 women. There are no black House Republicans. After last year's elections, Pelosi boasted about the numbers, saying it "reflects the great diversity and strength of our nation." Within the caucus she leads, the numbers add up to a force that can't be ignored. "We have leverage," said Rep. Mike Honda, D-Calif., a member of the Asian Pacific American Caucus and the grandson of Japanese immigrants who spent the first few years of his life at a Japanese-American internment camp in Colorado during World War II. The Democrats have tried unsuccessfully to change or scuttle the individual bills from the House Judiciary Committee, none including a path to citizenship and several described as mean-spirited. One provides for a crackdown on immigrants living in the United States illegally; another sets up a temporary program for farm workers to come to the United States, but without the opportunity for citizenship that the Senate-passed measure includes. A third, which drew several Democratic votes, requires establishing a mandatory program within two years for companies to verify the legal status of their workers. The Senate bill sets a four-year phase-in, although supporters of the legislation have also signaled they are agreeable to tighter requirements. A fourth House bill increases the number of visas for highly-skilled workers, also a feature of the Senate bill. Rep. Bob Goodlatte, R-Va., the chairman of the House Judiciary Committee, rejected a "special pathway to citizenship" to immigrants living in the country illegally, but indicated that he would be receptive to a path to legalization. Outside groups recognize the political headwinds, and simply want a vote. "There's a lot of different ways they can get to an outcome on immigration reform, and the fact is we can't pretend to be able to control the process. But what we can say is that we want a vote. 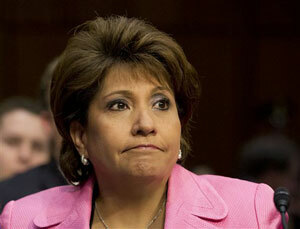 Just vote on something," said Janet Murguia, president of National Council of La Raza. “We know that if there is a bill that is voted on in the House of Representatives it will be conferenced with the Senate bill, so just vote on something and let the conference be the place where we can negotiate the differences. ...But for us, give us a vote. We deserve a vote." Democrats cast the issue as a moment in history for Boehner, with nothing less than the future of the Republican Party at stake in national elections. The Hispanic population in the United States is up 65 percent since 2000, with millions of new voters who delivered a shellacking to the GOP in last year's presidential election. The blame for GOP Nominee Mitt Romney's defeat, in part, was on him only garnering 27 percent of the Hispanic vote. "It's an existential dilemma for the Republicans," said Rep. Peter Welch, D-Vt. "The folks in gerrymandered (House) districts can just say no, but if they want to have any national future, the adults in the room have to say yes." If Congress is unable to produce immigration legislation, Democrats are certain to blame the GOP and look to capitalize politically, not only with Hispanic but independent voters frustrated with the gridlock. Asked if failure was a winner for Democrats, Connolly said, "We all presume so. In the short run that's less clear than in the long run." Associated Press writers Erica Werner contributed to this report.